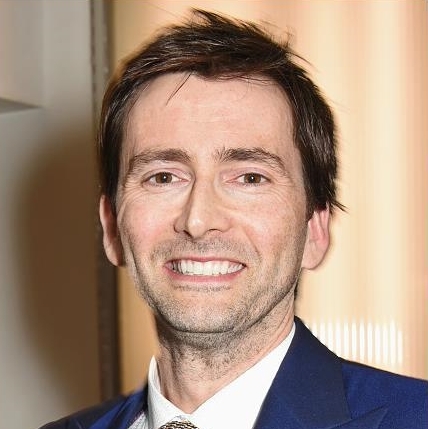 On Sunday 15th February David Tennant attended the What's On Stage Awards 2015 at the Prince Of Wales Theatre in London. This was the 15th Annual What's On Stage Awards. David Tennant won the Best Actor In A Play Award for his lead role in The Royal Shakespeare Company's production of Richard II. Richard II also received a nomination for the Best Play Revival Award but unfortunately did not win. Likewise for Gregory Doran for the Best Direction Award. David Tennant appeared in Richard II for The Royal Shakespeare Company in October and November 2013 in Stratford-upon-Avon and at the Barbican Centre in London during December 2013 and January 2014. The What's On Stage Awards are the only major theatre awards in which the audience vote for the winners across all categories. The final voting took place online from 5th December 2014 through to 31st January 2015. Link to posts related to the What's On Stage Awards 2015 on Blogger.com. David Tennant won the Best Actor In A Play Award for Richard II at What's On Stage Awards tonight! What's On Stage joked that in David's acceptance speech he name-checked his hair extensions in Richard II! He also said "British theatre has this amazing knack of reinventing itself and staying the best in the world year after year." Apparently he added "If I may say so in an election year, any money spent in the arts industry is not an expense but an investment."